Our boys enjoyed another 'snow day' at home today! In fact, I think a large portion of the kids in our province enjoyed day two of school cancellations thanks to the wonderful winter storm that dusted everyone with more of the white stuff! Although we didn't quite get as much of a blast as some, we still had a bit of 'digging out' to do this morning! 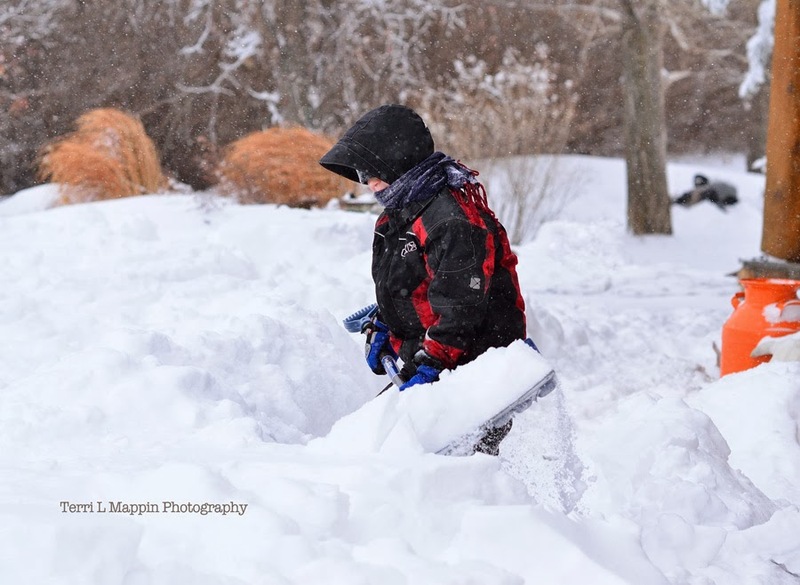 Lucky for me, I have a super 7 yr old that loves to shovel! Wow!!! This is the great fun. But it might be dangerous. Well you are done good construction. 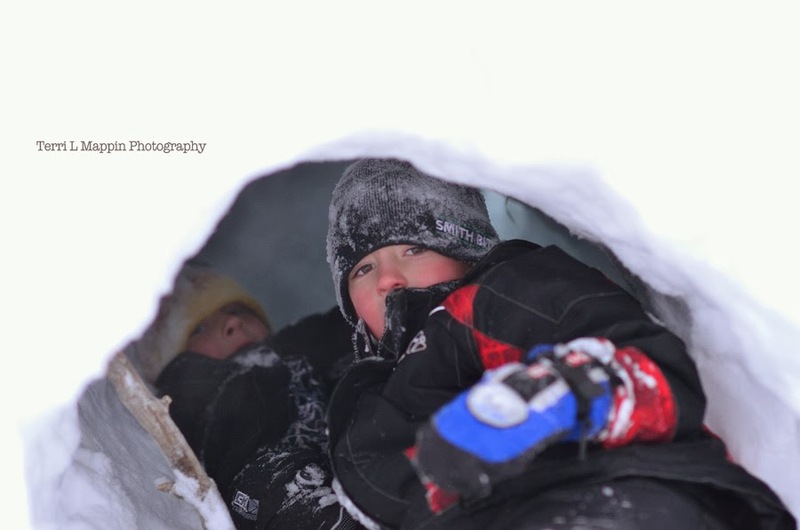 The kids had a blast but don't worry the snow above them wasn't that deep! Their tunnels collapsed a couple of times thanks to their dogs helping out! Haha! you sure did get snow! 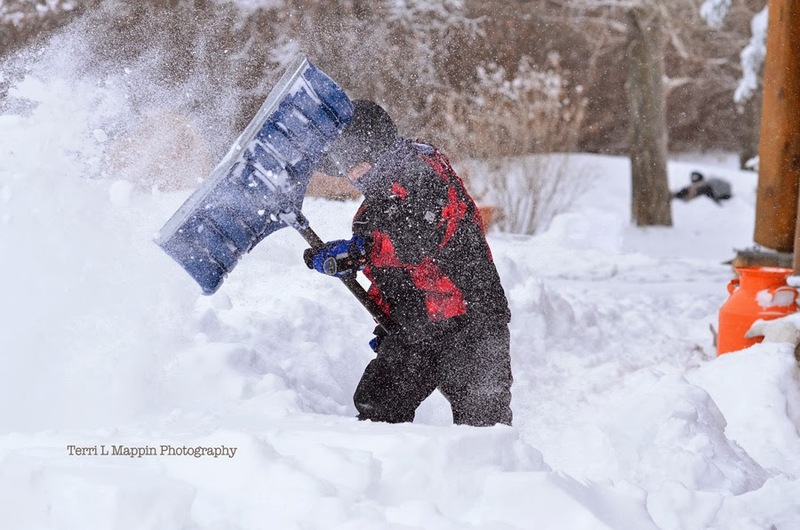 lucky you to have a son that loves to shovel! gosh i just got caught up on all your blog posts, you share such wonderful details about your lives and the world around you. Such a great blog! Indeed we did Tammie! UGH! I'm certain we will definitely be having a white Christmas! LOL! The snow never seems to phase kids! They LOVE it! Thank you for such kind words and for visiting Tammie! I greatly appreciate it!